Bonville Golf Resort invites visitors to the Coffs Coast to experience the 2019 Australian Ladies Classic Bonville. 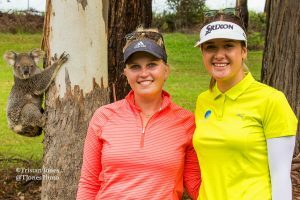 After the event’s success in 2018, this event which is co-sanctioned by the Ladies European Tour and the ALPG is set to return to Coffs Harbour in 2019 from 18th – 24th February. In partnership with Golf NSW and Destination NSW, Bonville Golf Resort will welcome back golf champions from all over the world, including the formidable Dame Laura Davies as well as Order of Merit winners Beth Allen from the USA and Becky Brewerton from Wales. Highly ranked European Tour players Becky Morgan, Caroline Hedwall, Jenny Haglund and Meghan Maclaren will round out a long list of Internationals on route to the Coffs Coast. NSW is said to be enjoying a boom in domestic tourism with a record breaking $20 billion spent across the state over the last year. In regional NSW specifically, both domestic and International overnight visitors jumped up 4.3 percent. Preparations for 2019 have been made to ensure that the golf course is absolutely spectacular once again. The Australian Ladies Classic Bonville is quickly becoming a flagship major sporting event for the Coffs Coast, adding significantly to the regional visitor economy and positioning Coffs Harbour as a destination of choice for the high value International tourist. Attendees are invited not only to spectate at the event, but enjoy the beautiful surrounds of the Coffs Coast with the many activities that it has to offer. Whether it is, swimming with dolphins, learning to surf at one of the pristine local beaches, or wandering among the gum trees at the Tree Tops Adventure Park, Coffs Harbour is the ultimate destination to get amongst the Australian outdoors.